when I looked up in a tree and saw this female. I watched for a long time and then its mate flew down from nowhere and they mated and then he flew off. This happened 4 or 5 times and then they both flew off. Have never seen this specie in this area before. I only had an ipod for a camera. 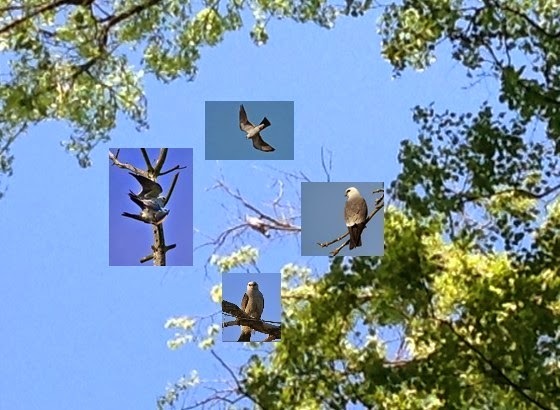 The poor photo is in the middle of the others which are borrowed photos of the mating process and the male flying over the female and close up of the front and back of a similiar bird. These photos shows it all exactly as it looked to me.